Experiencing the Loi Krathong Festival 2017 was amazing. I did not know that the Loi Krathong festival was going to on until a Thai friend of mine called me and asked me if I was going. I responded that I didn’t know what it was. She gave me a quick overview and said that we would go later. Loi Krathong starts off as the promise to make an offering to the river Gods. “Loi” is the Thai word for River. Your offering to the Gods is floated on the river in what is called a “Krathong”. A Krathong is an 6 to 10 inch “pod” made from banana leaves and bread. They are decorated elaborately and are biodegradable. 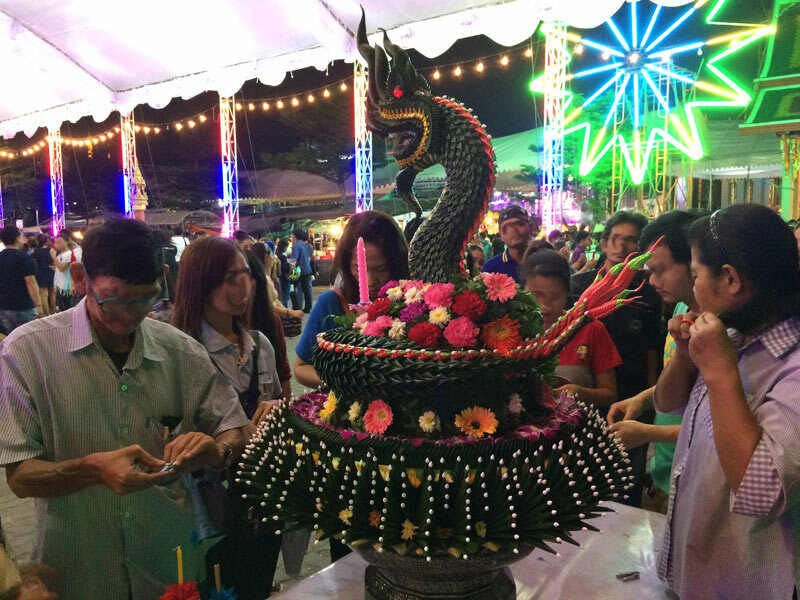 Part of the tradition was to add Thai Baht coins on the Krathong. Later it was realized that the fish were eating the coins and it was unhealthy for them. In recent years people are discouraged from adding materials that may make the fish sick. Here is a picture of the Krathong that I bought. My neighbor had a whole table full of them in various shapes and sizes. 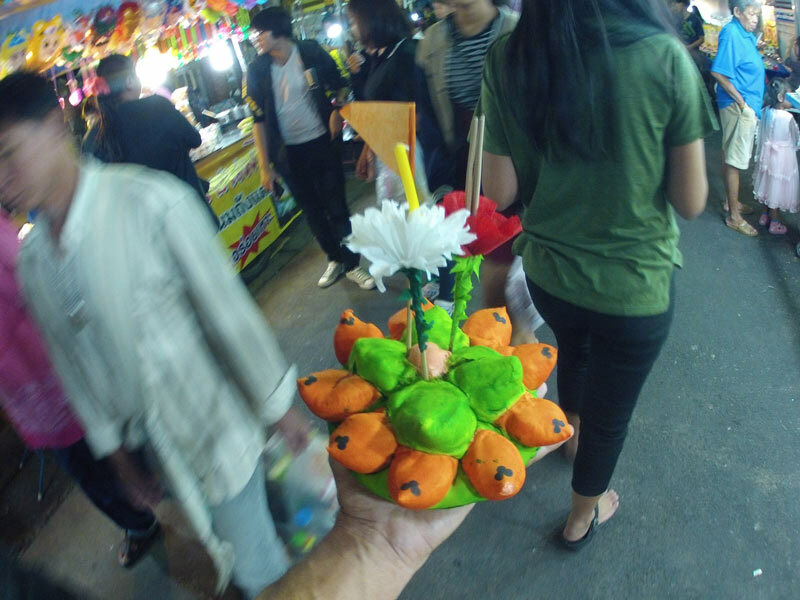 My Krathong was made entirely out of bread. At first I didn’t think it was going to float, but it did. 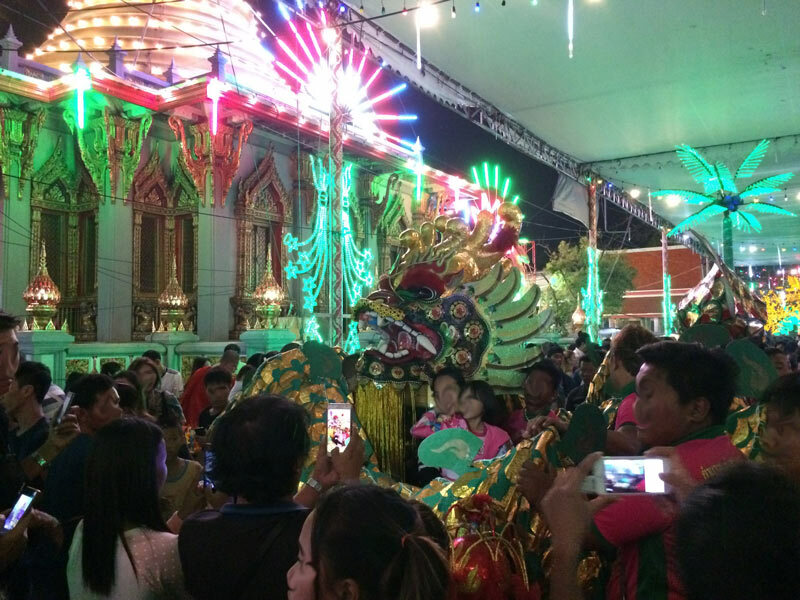 Loi Krathong creates a large gathering at the temples. 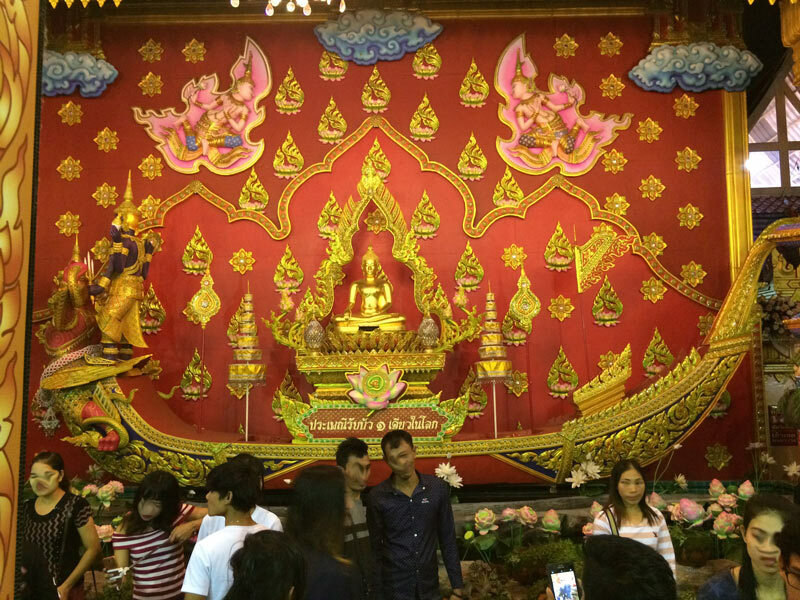 At my local temple, Bang Phli Yay, the gathering of people was immense. There had to have been well over 5000 people there. 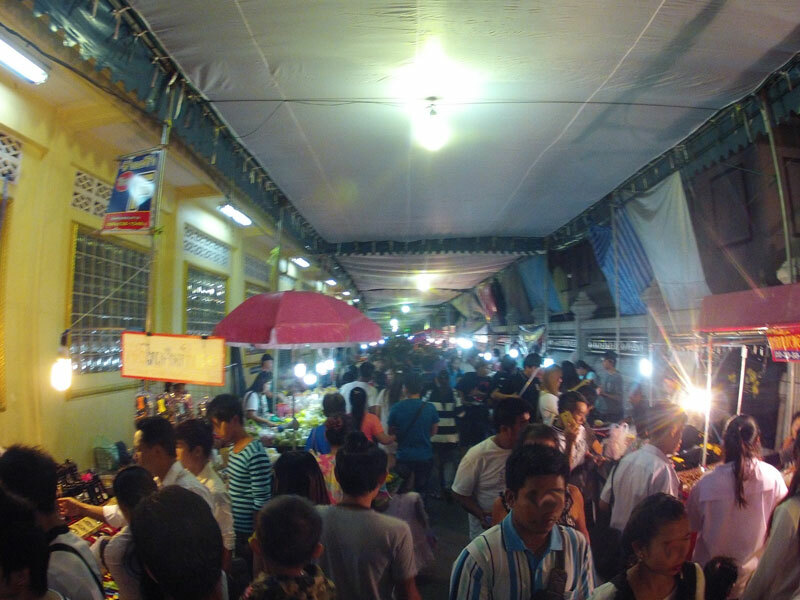 Down the main entrance was a line of food vendors about a quarter of a kilometer long. Everything from potpourri to mini desserts to pictures of the King. Of which I had to buy some. I launched my Krathong and watched it sail down the river. What a great feeling! In a way I felt like a kid! As if all my worries and fears were on that Krathong. You can hear the excitement in my voice in this video. Entertainment at Thai events is never lacking. 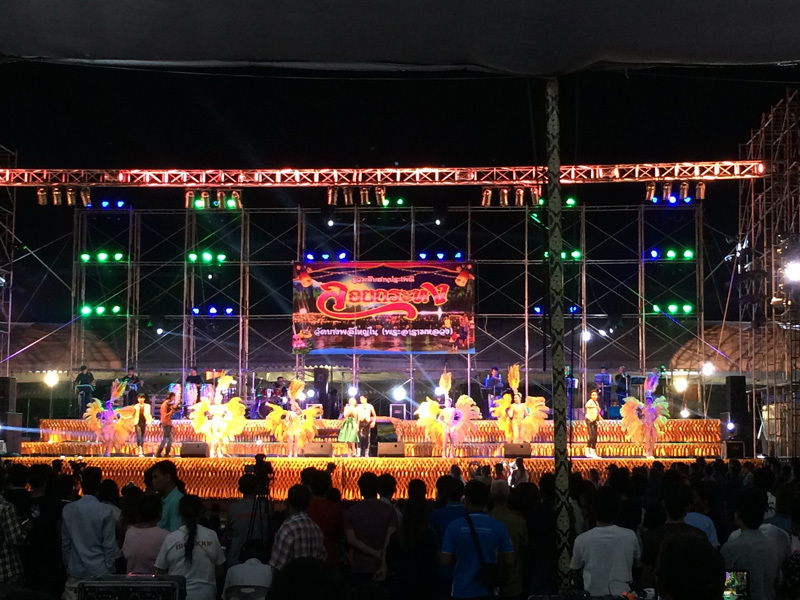 As a matter of fact I can’t recall a single event that I have been to in Thailand that the entertainment stunk. Given that, Loi Krathong was no different. Small art displays as well as a full stage with music and dancing. The highlight was a dragon was accompanied by a rhythmic beat of the drums and cymbals, came through the crowd. Everyone took out their cameras to get a quick video, as did I. The dragon, breathing sparklers and smoke over everyone, even stopped to take selfies with people from the crowd. In closing The Loi Krathong Festival 2017 was yet another amazing experience in Thailand. If you are in Thailand on the first full moon of November be sure to participate. Any local Temple or beside any riverbank you can float your Krathong.